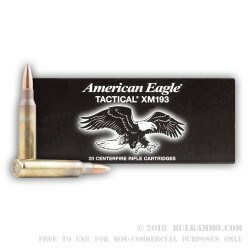 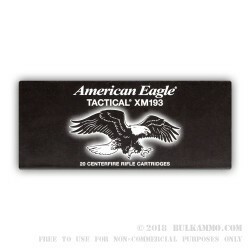 Federal American Eagle® Tactical XM193 5.56x45mm rounds come equipped with a 55-grain full metal jacket, boat tail projectile and are loaded into boxer-primed, noncorrosive, reloadable brass cases. 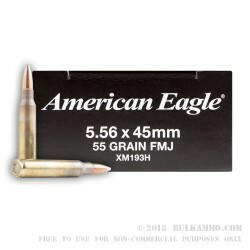 Coupled with the boat tail bullet design and a potential muzzle velocity of up to 3165 fps, this ammunition is great for long range target shooting or a fun day of plinking. 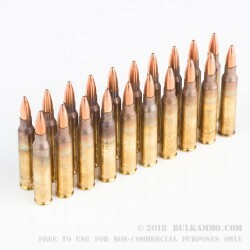 These 5.56 rounds are manufactured to military specs, run at much higher pressure than that of a standard .223 round and should only be used in firearms designed to handle such pressures. 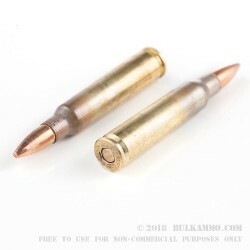 On purchase of this 20-round box, you will notice a distinctive discoloration on the brass shell casings. 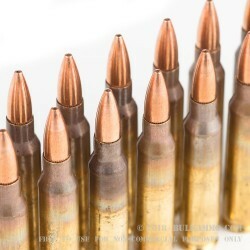 This discoloration is a byproduct of a process called annealing, which ensures the strength and uniformity of the casing. 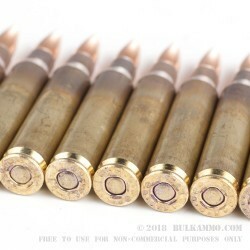 In fact, the federal government requires this discoloration on their ammunition as it indicates to them—and to you—it is quality ammunition. 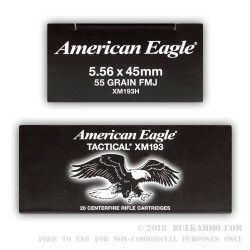 Since 1922, Federal has been known as a quality producer of sporting ammunition. 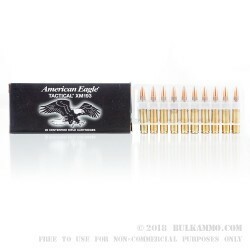 Offering a wide variety of ammunition, Federal has a round outfitted for any application.